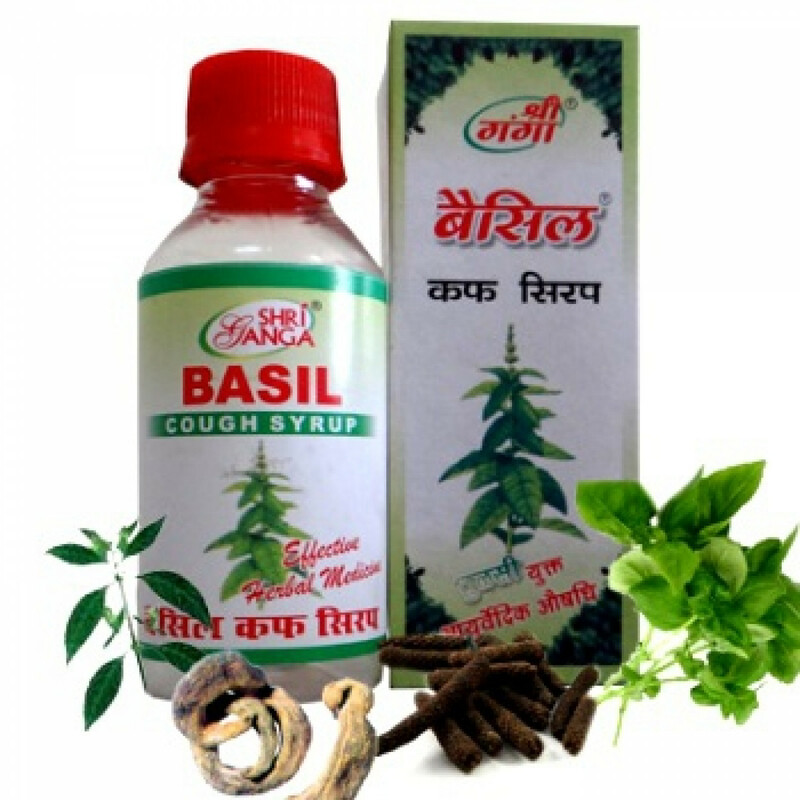 Bazil - effectivy cough syrup provides fast relief in all types of bronchitis and cough, liquefies mucus and cures dry and wet cough. Indications: Acute and chronic bronchitis, bronchial spasms, flu, cough, associated or not associated with a respiratory disorder. Dosage: Three times a day. Adults - 2 teaspoons. Children 6 to 12 years - 1 teaspoon. Children to 6 years 1/2 teaspoon. Original name: Basil syrup Shri Ganga. In our store You can buy authentic cough Syrup Bazil Sri Ganga at a bargain price!